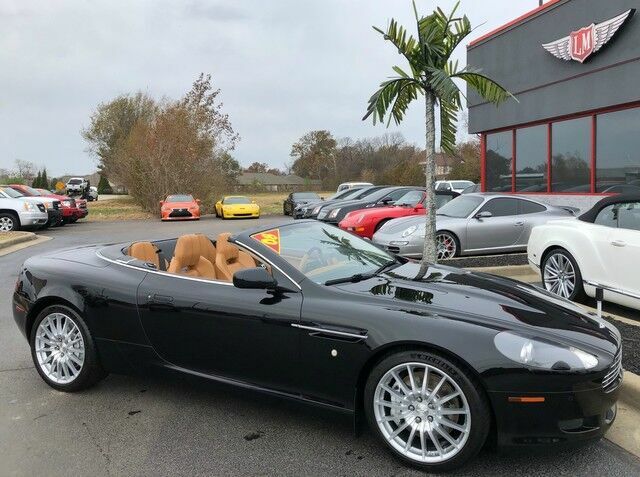 2008 Aston Martin DB9 Volante! Clean CarFax, beautiful convertible! Equipped with a 6.0L V12 producing 450 horsepower, a six speed automatic transmission, navigation, convertible top, heated leather seats, 4.3 0-60 time and much more! 52k miles for $47,900! Ask about our extended warranties that give you that extra piece of mind to an already quality build!